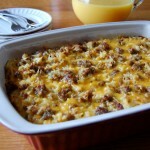 Start your morning off right with this beautiful breakfast casserole! Cook sausages in a large skillet over medium-high heat, stirring until sausage crumbles and is no longer pink. Drain well. Prepare hash browns according to package directions, adding 1/2 teaspoon salt and pepper. 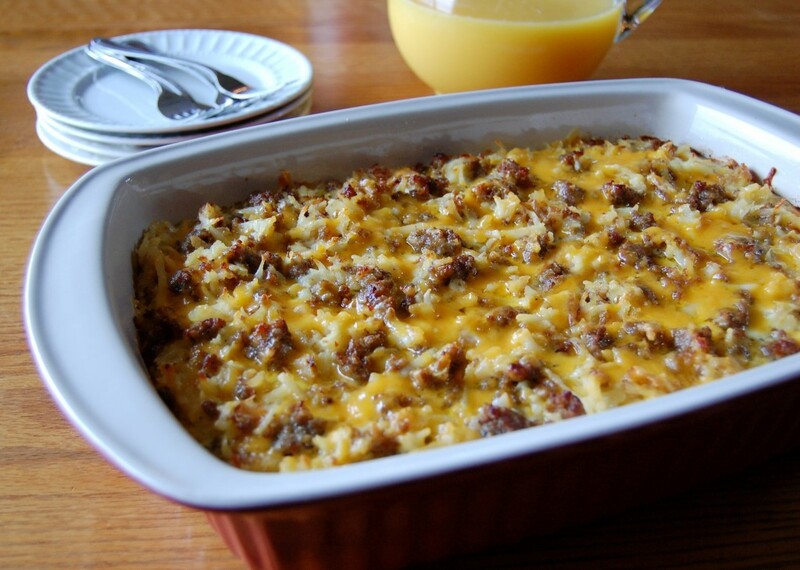 Stir together hash browns, sausage, and 1 cup cheese. Pour into a lightly greased 13 x 9-inch baking dish. Whisk together eggs, milk, and remaining 1/2 teaspoon salt. Pour evenly over potato mixture. Top with remaining 1/2 cup cheese. Bake for 35 to 40 minutes, until golden brown and bubbly.